Knocknagree E Top is the 686th highest place in Ireland. Views north from the summit. 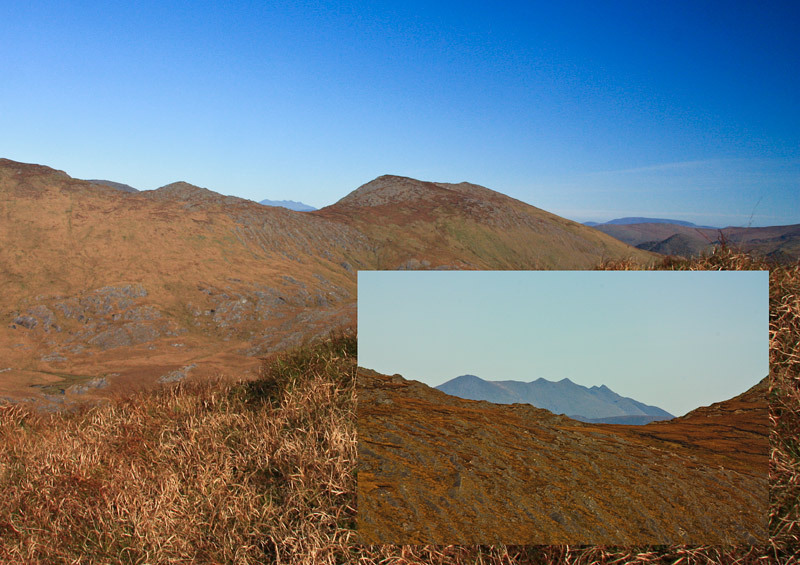 Knocknagree E Top has views of the ridge enclosing the pocket to the north. From near the summit a keyhole view opens up of the eastern reeks which can be seen in this picture just to the left of Lackabane.